Read more about these extra workshops on Friday June 1. Online and phone registration now closed. You are welcome to register at the door. 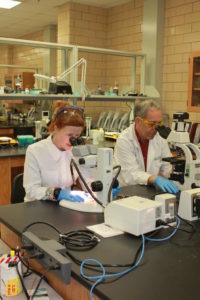 Join us in the BioNetwork laboratory in Candler, NC, for hands-on practice using a microscope to examine plant materials. 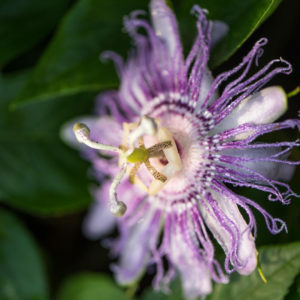 Microscopy is one of many useful tools for identifying and authenticating botanical samples to comply with CGMP requirements, but it can also offer a new perspective on familiar and beloved plants. This beginner-level session provides an overview of botanical identification and authentication in a regulatory context. 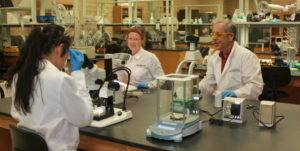 Participants are introduced to microscope components and some botanical terminology, but no prior knowledge of botany or microscopy is needed. We discuss and practice staining techniques, documenting microscopic images, and basic microscope maintenance. We’ll also cover the safety and ergonomics of preparing plant specimens and spending long hours at the bench. Andrew brings over 11 years of laboratory, regulatory, quality management, and training experience from his work in academic research and regulatory settings. Prior to joining BioNetwork, Andrew served as a medical laboratory technician, Quality Assurance Specialist, Microbiology Supervisor, and Chief Microbiologist at the NC Department of Agriculture: Food and Drug Protection Division. Marie Knight is a Laboratory Coordinator for BioNetwork, part of the North Carolina Community College System. She has worked in life science labs for 15 years, conducting chemical and microbiological testing and assisting clients with quality control projects. The Natural Products Lab, located at A-B Tech, offers rentable analytical testing equipment and lab space for research & development projects. Learn how to incorporate our fungal allies into tasty therapeutic preparations fit for both the table and the medicine chest. Marc demonstrates the making of several mushroom-based products and offers samples for the class to try. Some examples include a decoction, chai, tincture and jerky. Features choice species of medicinal mushrooms both native to the USA and from places more exotic. Mycological medicinal practices from Traditional Chinese Medicine and indigenous North America traditions are highlighted. Limit 25. Marc Williams is an ethnobiologist. He has studied the people, plant, mushroom, microbe interconnection intensively while learning to employ the different kingdoms of biology for food, medicine, and beauty. He has a Master’s degree in Appalachian Studies concentrating in Sustainable Development with a minor in Geography and Planning from Appalachian State University. His travels include adventures through 28 countries in North/Central/South America and Europe and all 50 of the United States. Marc has visited over 170 botanical gardens and research institutions during this process while taking tens of thousands of pictures of representative plants. He is also Executive Director of Plants and Healers International (www.plantsandhealers.org) and on the Board of Directors of the Appalachian Institute for Mountain Studies. 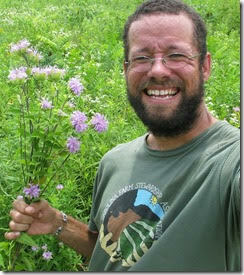 He has taught hundreds of classes to thousands of students about the marvelous world of plants, people and their interface while working with over 60 organizations in the last few years and online at the website www.botanyeveryday.com. 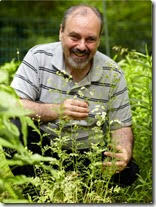 Marc’s greatest hope is that his efforts may help improve our current challenging global ecological situation. NOTE: Applications submitted for 5 PDA for acupuncturists, 4.5 CNE for nursing. 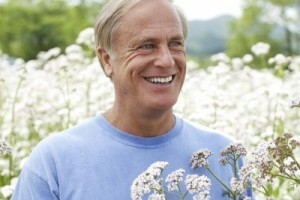 Sorry, no credit for herb walks from OBNM (naturopathic physicians). 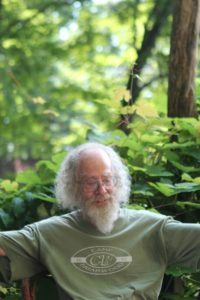 David Winston RH (AHG) is an herbalist and ethnobotanist with over 40 years of training in Cherokee, Chinese and Western herbal traditions. He has been in clinical practice for over 40 years and is an herbal consultant to physicians, herbalists and researchers throughout the USA and Canada. In 2013 David was presented with the Natural Products Association (NPA) Clinician’s Award. He is founder of Herbalist and Alchemist, Inc, and offers a two year herbal training program at David Winston’s Center for Herbal Studies. Mountain Gardens is a forty-year-old botanical garden of useful plants incorporating the largest collection of medicinal herbs in the eastern US. We are located adjacent to National Forest at the base of the highest mountains in the east, and most of the important native medicinals are growing here naturally (the rest have become established). In addition many herbs have been introduced from North America, Europe and, especially, East Asia. 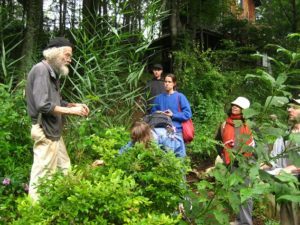 Joe Hollis has lectured, consulted and taught workshops in medicinal herb identification, cultivation and processing at Mountain Gardens and at various colleges and conferences in North Carolina since 1980. He also teaches 5-8 apprentices annually. 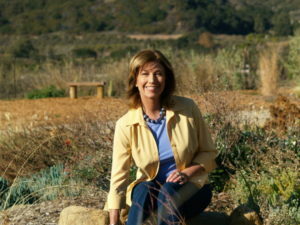 The gardens are regularly toured by university and herb school classes. Mountain Gardens sells its seeds, plants and preparations at herb fairs and medicinal herb conferences, and via the internet at the website. 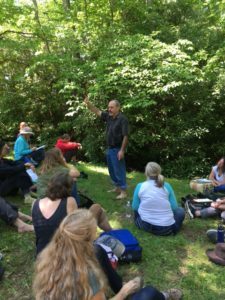 Joe has been an instructor at Daoist Traditions (Asheville, NC) since the school’s founding (2006) teaching classes in Medical Botany and Herbal Preparations, as well as supervising the student herb garden. In June 2018 he will be travelling to China to collect important medicinal species not presently available in the US. Founder of Gaia Herbs, Ric Scalzo, and botanical educator Mary Bove, ND host a tour of the Gaia Herb farm in Brevard, NC (about an hour from Blue Ridge Assembly in Black Mountain) on the last day of the symposium. This farm is a living laboratory for the latest organic planting and cultivation methods. Certified by Oregon Tilth, the most rigorous of all organic certifying bodies, the farm produces over 5 million individual plants representing 45 species of medicinal herbs, which are then made into medicine at Gaia’s state-of-the-art production facility. 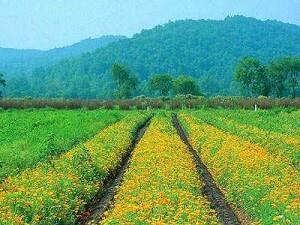 On this tour you’ll walk the fields and learn about planting, cultivation and harvest techniques while enjoying the beautiful, fertile valley surrounded by mountains. It’s an experience not to be missed! Free. Please pre-register. Limit 60 participants. Open only to registered symposium attendees. This event is now FULL.